Home » News » All news » Copșa Mare is to be saved! 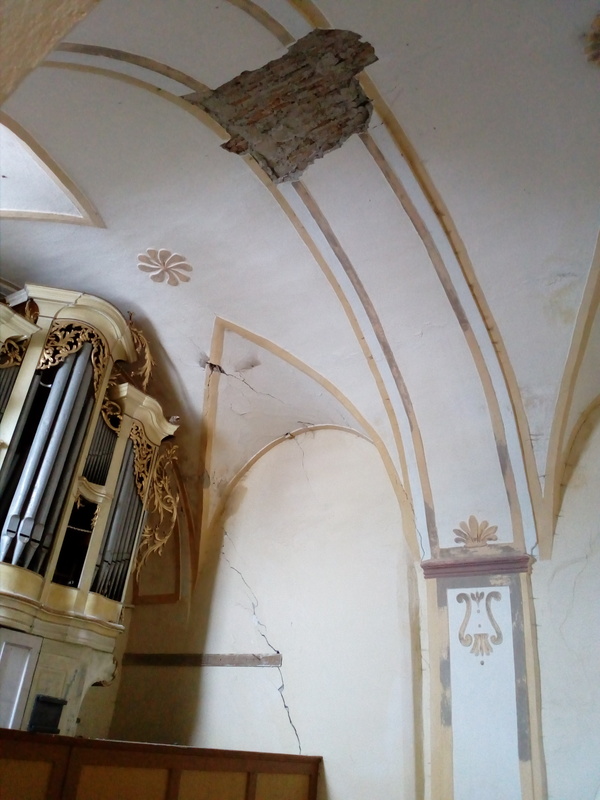 The Fortified Churches Foundation has been monitoring the endangered architectural situation of the fortified church in Copșa Mare with concern for some time. Sebastian Bethge, the representative of the Foundation for the Preservation of Monuments, has visited the site several times since the beginning of 2016. In addition to static problems in the nave and the sacristy, there is damage to the roofing and the external facades. Defective and inadequate gutters as well as a lack of above-ground rainwater drainage penetrates the church and has also led to an alarmingly high level of moisture in the walls. Earlier repairs with cement-based plaster reinforce the effect and prevent the walls from drying out. In autumn 2016 Sabine Haranzha, who had “discovered” the fortified church in the summer and did not want to stand idly by and watch its decay, turned to the foundation office. Since then, in cooperation with the District Consistory Mediaș, the HOG Großkopisch (hometown Saxon community) and the Verein Kulturerbe Kirchenburgen (association) she has been looking for financial support. HOG Großkopisch und dem Verein Kulturerbe Kirchenburgen um eine Finanz ierung dringender Reparaturen. As a first step, the Fortified Churches Foundation prepared a brief report on the condition of the fortified church and a concept for necessary conservation measures. At the end of March, an emergency operation took place to support the medieval sacristy vault and to secure fallen vault ribs. The work was financed with funds from the foundation’s German support association. The District Consistory Mediaș supported the work with building materials. In the course of 2017, further maintenance measures on the roof and the rainwater drainage are planned, which are to be carried out under the leadership of the Mediaș church district. 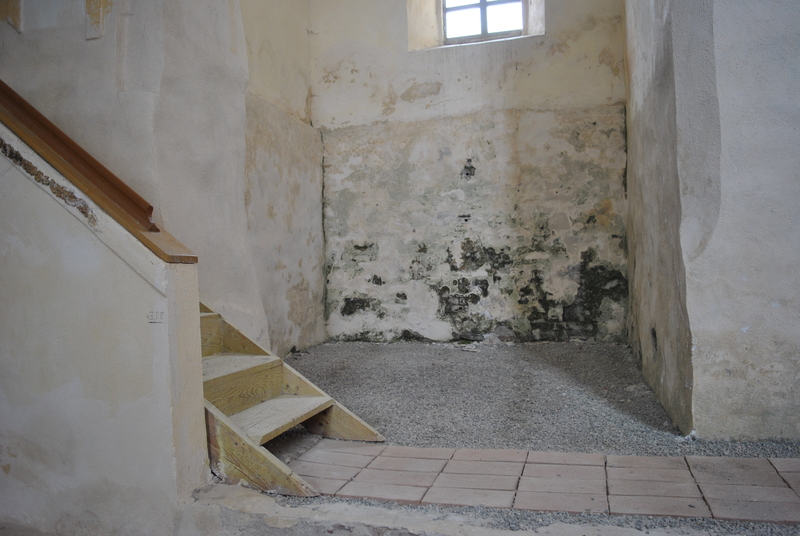 The Fortified Churches Foundation hopes that the work will get off to a good start and at the same time has its sights set on the ne xt steps: Comprehensive construction planning is required for restoration in line with the requirements of historical monuments. 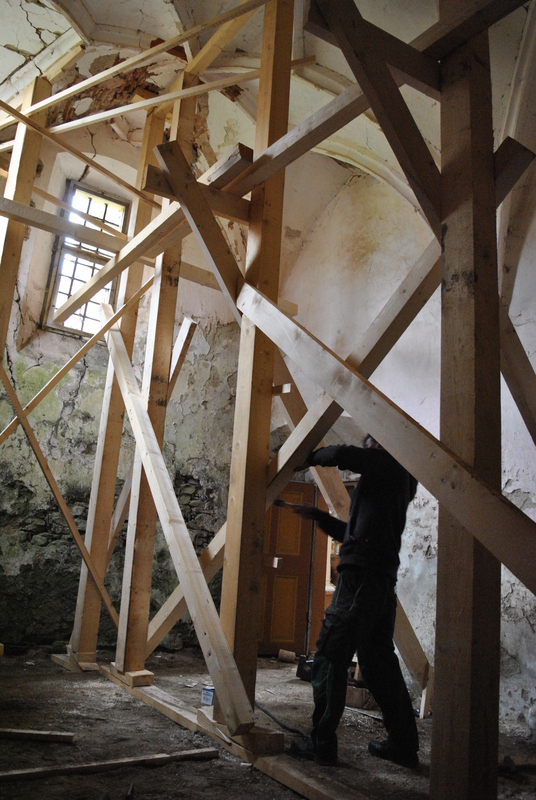 The aim is to restore the fortified church, which is particularly valuable from an art-historical point of view, gently and using traditional methods. 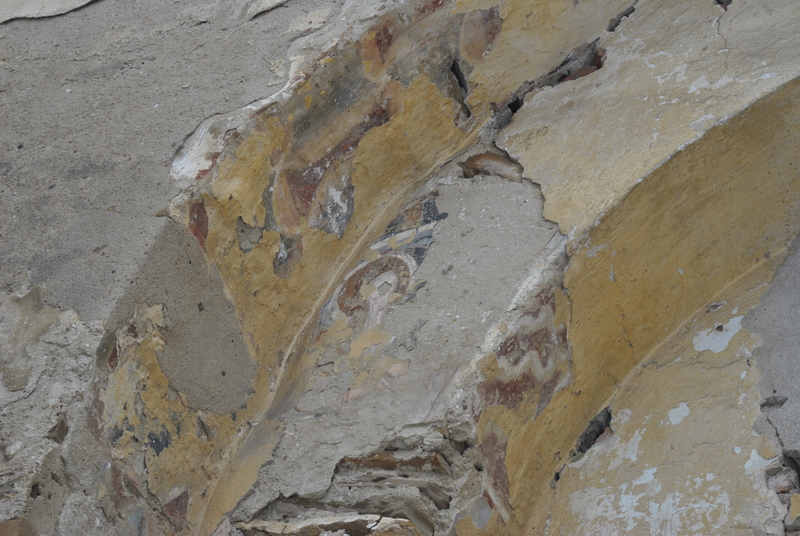 With its “Atelier Monumenta Transsylvaniae Werkstatt Felldorf”, the ARCUS Association has already examined the murals on the outer wall above the west portal, which are severely damaged by the weather, and prepared an expert opinion on the architectural surfaces. 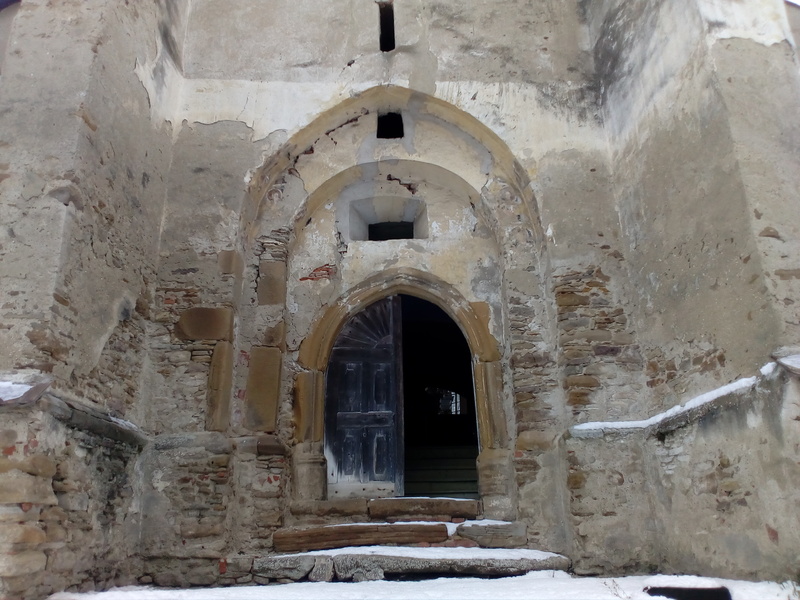 There are also plans to include Copșa Mare in a German-Romanian joint programme for the technical investigation of particularly endangered fortified churches.